I’ve been swamped for the last week, but that doesn’t mean I haven’t been pondering “big ideas” while working. One of the topics I can’t stop pondering is why so much value is placed on “empathy” and “social skills” when the best of the best at imitating these are often the worst of the worst people. You don’t believe me? There are numerous studies indicating leaders (think Presidents and the list is long) have narcissistic tendencies, as well as a dash of paranoia. Nationally elected politicians also score high on communications measures of social lying. I located more than 100 unique studies indicating that the ability to manipulate people, well-intentioned or not, corresponds to personal popularity. One study of young children tested their ability to lie and correlated “social lying skills” with popularity. When tested, narcissists score high on empathy. So, curiously enough, do some sociopaths. In fact, there are sociopaths able to score near-perfect on some empathy instruments — which raises red-flags. Consider what a narcissist or sociopath wants: control and attention. With a great ability to understand and even anticipate what people want to hear, the master manipulator gains trust and the following he or she wants. Charismatic leaders certainly do this by knowing what a person wants to hear and tailoring words, vocal tone, and even movements to the situation. A narcissist can seem like your best friend, instantly, because he or she knows that later you will be useful. Yet, we keep claiming that the big problem with high-functioning autism, PDD-NOS, and Asperger’s Syndrome is the social impairment. In other words, we don’t make friends easily. Social impairment is part of the diagnostic criteria. 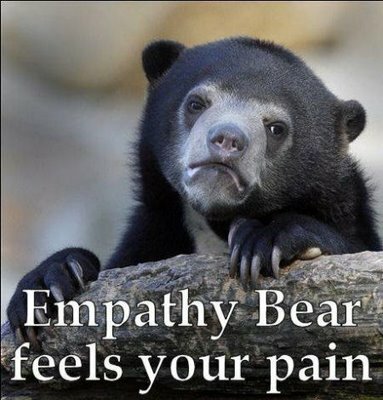 Sympathy is more important than empathy, at least based on most definitions. And most autistic students and adults I’ve met have a surplus of sympathy. In fact, many seem to suffer from overwhelming sensitivity and sympathy for the situations of others. Personally, I am extremely sensitive to the suffering of animals and children. Can I empathize? Not always, but I feel horrible when I see anyone or anything suffering. The social skill that I lack is the ability to communicate that sympathy effectively. At least in some instances. UMass Researcher Finds Link Between Lying And Popularity. University Of Massachusetts At Amherst (1999, December 14). “We found that convincing lying is actually associated with good social skills. It takes social skills to be able to control your words as well as what you say non-verbally,” said Feldman. Paulhus (1998) found that after the first meeting, narcissists were rated as more agreeable, conscientious, open, competence, entertaining, and well adjusted by the other members of the group. What a contrast to what the group members thought of the very same narcissistic individuals on the seventh day! The best rated leaders exemplified the bright side of narcissism while suppressing the dark side — emergent leaders were measured to be high in egotism and self-esteem but low in manipulativeness and impression management. I’m not claiming empathy isn’t important. I’m suggesting we should focus on sympathy and helping people learn to communicate sympathy effectively. About the Author: C.S. Wyatt is a freelance writer and editor, and a professor of English and Communication Studies at a private university. He holds a doctorate in Rhetoric, Scientific and Technical Communication from the University of Minnesota, and specializes in the fields of new media, online education, and special needs students. He was diagnosed with high-functioning autism as an adult. Social Success, Empathy, Sympathy, and Autism first appeared on his blog, The Autistic Me, and is reprinted here by permission. If I had my own reality show, I’d do a Mythbusters spin-off called Exploding Stereotypes, in which my team and I would travel the world, methodically exploring stereotype histories and flaws. I’d want to start with autism, of course. Should I begin with the “special gifts” savant stereotype, or with the “no empathy” stereotype? How about the latter? Because people with autism or Asperger’s can have difficulty interpreting body language cues, they are stereotyped as unable to feel empathy. So untrue! My son is not much for conversation, but he can be highly sensitive to my body language, snuggling with me when I’m physically slumped and low, dancing with me when I’m happy. Ours is a genuine emotional connection. Body language isn’t required to feel empathy, anyhow. 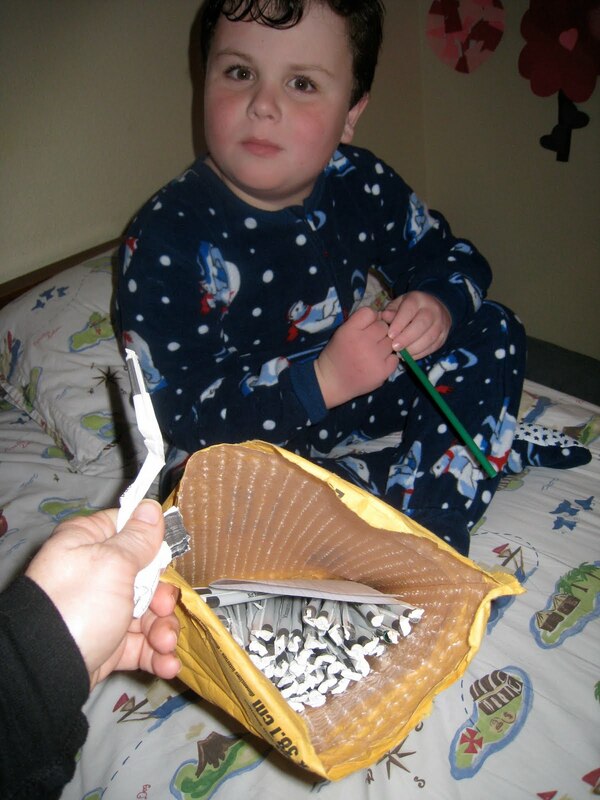 How else to explain the actions of the gracious and thoughtful Lindsey Nebeker, who gathered and sent Leo his latest supply of green Sbux straws, even though she was in the middle of an interstate move? L.U.S.T., the League of Unrepentant Straw Thieves, is honored to have Lindsey join our ranks. And I am grateful to her for living a stereotype-exploding life. About the Author: Shannon Des Roches Rosa is a mom to three children; her son Leo is autistic. She has been writing about autism and parenting since 2003, and is a co-editor of The Thinking Person’s Guide to Autism. This piece first appeared on her blog, Squidalicious, and is reprinted here by permission. Listed in the criteria for Asperger’s in the DSM-IV is “lack of social or emotional reciprocity,” although I usually see it written as lack of empathy. This criterion was the one that I struggled with the most in regards to my son. I just didn’t see it. If anything, I have seen an oversensitivity to the emotions of others. What I have observed in my son is that he gets upset when others are upset. If he has ever found me crying, he always sits next to me and rubs my back. Never mind that half the time I was crying because he just had a meltdown that I couldn’t deal with. The times that it was related to a meltdown he would always apologize and ask for a hug. He has always been a very sweet child. Death is something that has always upset him quite profoundly. He was probably 9, and I took him with me to a Good Friday service at our church. He had wanted to go because he had heard they turn the lights off for this service. He had been in Christian school since kindergarten, so he was quite familiar with the Bible story. At the end is when they turn off the lights and discuss Jesus’ death. He started to melt. At first, I thought it was from the lights being off, since he has sensory issues. But instead, he started to sob that Jesus had died. I was so surprised that it would upset him so profoundly since he clearly knew how it would end. So when people started to talk about how he may have Asperger’s, I kept getting hung up when they would say how people with Asperger’s lack empathy. I just didn’t see it. I do understand (well maybe that word isn’t the exact right word) that they lack theory of mind. I have to explain to him how it could affect someone negatively when he does certain things. He doesn’t always understand how he is perceived. When he used to (please God keep it used to) have major meltdowns in class, he would say he couldn’t leave before the meltdown because he didn’t want to draw attention to himself. We had to keep explaining the meltdowns were drawing way more attention than walking out when he started to feel upset. What I have noticed he struggles with is understanding the non-verbal communications related to emotion. We reviewed the facial expressions in emotions, and he was supposed to identify his feelings every day for a while to help get the hang of it. I found this nifty magnet in Vegas. The little guy on the magnet rarely moved from bored. He uses “bored” to describe a lot of emotions, I have noticed. In particular, he says he is bored when he is struggling with school. Maybe he has heard other kids use this word. The describing of emotions is something I think we need to work on. Thanks to http://www.lifepostepic.com/ I now know that the word for not being able to put emotions into words is Alexithymia. Here is a link about it: http://eqi.org/alexi.htm. From the interactions with my son, I think that does more accurately describe what he is experiencing. He knows what facial expressions mean. He may not always catch onto subtle clues, but overall, he notices when I am angry or sad. He may not always smile when he is happy, but he does know how to give me sad eyes when he wants something. However, he does struggle to put his feelings into words. Whether or not he truly knows what his feelings are is so difficult for me to know. I have also told him that anger is okay too, but that it is not okay to smash things. I think he has previously gotten upset with himself when he has felt these emotions, and that just frustrates him or angers him more. It has really been a process to teach him emotions are an okay thing. 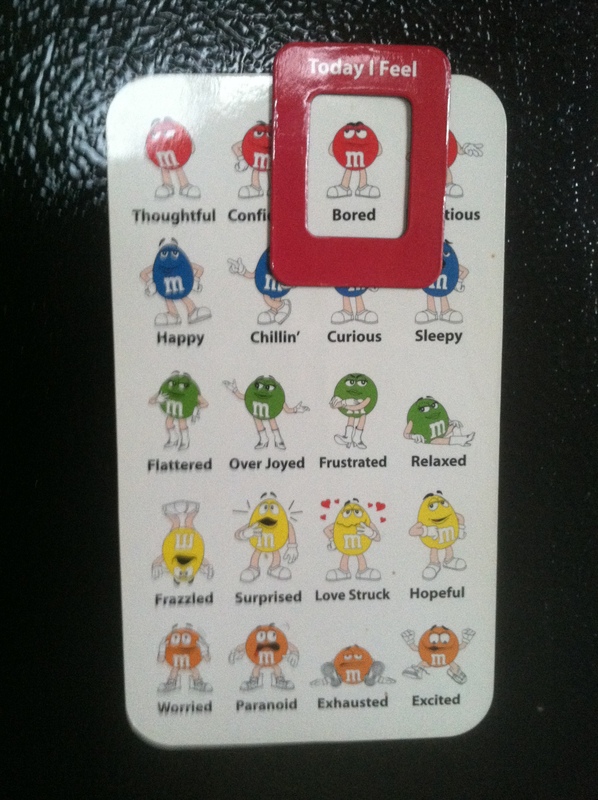 I would really love to hear from someone with Asperger’s about how they feel these emotions. About the Author: AspieSide is the mother of a 14-year-old son with Asperger’s, ADHD, anxiety, and depression. This piece first appeared on her blog, The Aspie Side of Life, and is reprinted here by permission. The post reminded me of some thoughts I wrote last year. So I thought I’d share and update with more recent thoughts. 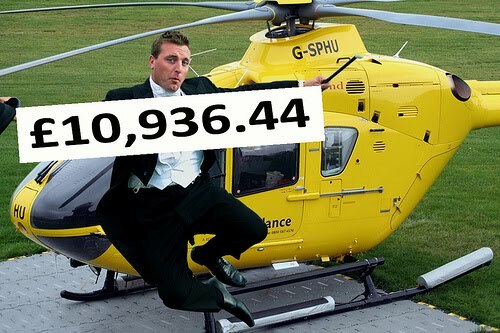 When I was about 10 years old, the children’s TV show Blue Peter had an appeal to raise money for children in Cambodia. They showed awful footage that made me feel very lucky to have food and a home. It devastated me to see such under-nourished children with flies circling their faces and no energy to flick them away. This footage I still remember to this day, and if I focus on it, I still cry. I couldn’t bear the thought of these little kids having no food. The visuals from Blue Peter were far too much for me. I only kept two toys: my Tiny Tears Doll and my Teddy Boo-Boo. I still have both of them. Now, I have a theory about this lack of empathy thing. I know that, over the years, I have had to shut down to my feelings because they are so intense. I can get so overwhelmed by emotion that I can barely function. I know that when I love a person, they become as important as myself. My children are more important than I am, and I would die for them. Because I have visual reruns of things that either hurt me or confuse me, I end up rehearsing and chatting and analysing. It can be quite tiring to have so many conversations going around in my head. I have managed to stay in touch with my feelings and to show empathy by being careful what I feed my brain with, and by taking care not to overload myself. I know now what will replay in my constant thought loops and what things to avoid. I can also praise up the less noisy loops and help myself to do the things that are hard to do. I think that what appears to be a lack of empathy is just a shutdown mechanism of self-protection because the emotion is so intense. This intensity of feeling will overload the system and cause sensory difficulties and, eventually, complete shutdown. I know that when I gave my toys away, it was because I cared deeply for children I would never meet, and I was willing to go without my toys so they could live. I don’t believe that I lack empathy and I don’t believe other Aspies do either. About the Author: Lisa is a woman with Asperger’s and the mother of two children, one of whom is on the autism spectrum. This piece first appeared on her blog, Alienhippy’s Blog, and is reprinted here by permission. About five years ago, I was throwing my hands in the air and hollering at my baby brother for ruining another of my calendars. My baby brother was 20 years old at the time, and I was tired of constantly having to replace the calendars in our home because he hated where the number five landed. Being the mother of four boys with busy schedules, I was trying to keep my life organized (if you know me, that’s quite funny!) and Rye’s obsession with where the five landed on calendars was making this quite difficult. As I complained for the umpteenth time (probably more than that, I’m not exactly sure how many umpteen is), my brother apologized and told me that it hurt him to see the five landing on the calendar neither more to the left nor to the right, but rather in the middle of the surrounding numbers. It was then that I had an epiphany. For the first time, and for a brief moment, I understood what it must be like to live in a world surrounded by people who understood one another’s problems, but never yours. I realized that for Rye, the physical pain he felt when looking at a calendar or seeing a rounded car was no less real than the anxiety I feel when looking at my bank statement and seeing a minus sign in front of my two hundred dollars. But for my pain, there are others who understand — friends and family members who get it and have been there. For my brother, there was no one who understood. No one he could talk to who would get it. For the first time, I felt true empathy for my brother — not pity or annoyance or a desire to help him change, but actual empathy for his pain. I grew up the eldest of eight children, with four brothers on the autism spectrum. Of my four brothers, Rye and Dar are the most classically autistic. Rye is high functioning and Dar is very, very low functioning. For me to feel real empathy for the first time when my little brother was an adult — well, I felt rather horrible. And then I felt amazed. How is it that, despite my mother constantly telling me otherwise, I had never really noticed that I was asking for my brother to show empathy at every turn, while never offering him the same? How is it that, somehow, both Rye and Dar had learned to demonstrate understanding for others’ emotions, while I and others (except my mom) demonstrated mostly annoyance and suggestions for change when it came to theirs? How is it that my mom is always right?? When my mom adopted my brothers, I was less than impressed. Now I would be expected to help out with my new brothers; if I chose to go out with friends instead, what kind of person would I be? I had always been seen as the “nice” one. I went out anyway. I became the “nice” one at other people’s houses and pitched in a little at my own. I rolled my eyes when my mom insisted that the boys were able to feel the same feelings as I did, but that their challenges meant the feelings would show up in different places and would probably look different. What I saw was one brother rocking, stimming, growling, and hitting himself; another staring blankly in whatever direction he was facing, forever needing to pull up his socks; another threatening to beat up whoever was nearest, avoiding eye contact like the plague; and the little one repeating whatever you said while climbing the walls and putting his lips on heaters. I remember wondering why my mom would want these kids when even their own parents didn’t want them. Even the professionals in our world kept trying to tell my mom to stop getting her hopes up, that my brothers would certainly just end up in institutions and she should stop hoping otherwise. Why did my mom look at them and see adorable little people with challenges that they could overcome if they were only taught to believe in themselves? Why was she the only one who would believe in them? I admit to these thoughts because, on the day I finally understood what my mom had been saying all those years, it came to me: In order for my brothers to show empathy, they would have to know what empathy looked like. It would have to be modeled for them. My mom had always done that for them. But I never had. Not really. I have loved them, laughed with them, and snuggled with them. And as they all (other than Dar) became independent men, I have enjoyed conversations over coffee and given much advice on women. But I have rarely shown empathy for their very different — but very real — pain. When my seven-year-old niece took Dar’s CD with various renditions of Through the Eyes of Love — which he listens to pretty constantly — and stapled it so we wouldn’t have to listen to it anymore, I laughed and promised Dar another one. Then, I chatted with my niece about how she felt hearing the same song over and over. It was her pain I empathized with, not Dar’s. And when Rye said he didn’t want to come with me to pick my kids up from school because it hurt him to see the school and all the kids doing well and being friends and having backpacks, I told him he was being silly and that I needed him to come with me because it was inconvenient to take him home. Rye empathized with my need for convenience. My autistic brother empathized with me when I had completely ignored his plea for empathy. Dar has a leaky gut, serious bowel problems, an intention tremor, and other physical issues he is almost always dealing with. Rye feels sounds, sees things floating in the air around his eyes (poo flakes, he calls them), and wants friends but doesn’t know how to be one. My brothers are always dealing with some issue I can’t understand, in the same way that they can’t understand my issues. But they try. When I ask them to change, to be different, they try. When I tell them to care about me and my needs, they do. They are amazing people. I want to be more like them. How can we say that autistic people have no empathy? Why do so many close their eyes to the constant empathy they show for us neurotypicals and our desire to live lives of convenience and normalcy? Ever since the day of that epiphany, I have changed, just a little. I still ask my brother to overcome his challenges, just as I ask my children to overcome theirs, and myself to overcome mine. But I also empathize with the huge extent of the challenges. My autistic brothers taught me empathy. And they were unbelievably patient. About the Author: Tsara Shelton is the mother of four wonderful boys. Her two youngest children exhibited symptoms of autism early in life. Having four brothers who were on the autism spectrum made her family uniquely qualified to recognize the symptoms and to create an at-home therapy approach. The boys never did receive an official diagnosis. She now spends most of her time either hanging out with her kids or making amends for her crazy teenage years by helping her mom, Lynette Louise, spread autism awareness. My Autistic Brothers Taught Me Empathy was written expressly for Autism and Empathy.